So I just discovered them today. I've had them since I bought 2 cured pieces of LR. I just thought they were worms and was amused by them at night. Today while doing some random research I came across a picture that looked exactly like my "worm" and decided to read up on them. Now I know they are bad. What's your guy's experience with Digitate Hydroids? I had hydroids in a previous tank a long, long time ago. Don't have that tank anymore. But the ones I had - had a hard calcium based shell and didn't move. They used to sting the crap out of my hands - would get welts that would ooze. They hurt and itched at the same time. Yours sounds like a worm? Is it actually a worm - like a bristle worm? Or is it more like a tiny little feather duster. Mine were like tiny little feather dusters. I remember I used to break them apart and my sailfan tang loved to eat what was left. Can you provide a link to the picture you found? Rueg wrote: I had hydroids in a previous tank a long, long time ago. Don't have that tank anymore. But the ones I had - had a hard calcium based shell and didn't move. They used to sting the crap out of my hands - would get welts that would ooze. They hurt and itched at the same time. Yours sounds like a worm? Is it actually a worm - like a bristle worm? Or is it more like a tiny little feather duster. Mine were like tiny little feather dusters. I remember I used to break them apart and my sailfan tang loved to eat what was left. Can you provide a link to the picture you found? maybe i have the wrong type of hydroids? LOL! Hydroids should not be a problem for you. I think this is one of the many pest myths of the internet. They can explode in tank that lacks diversity of fauna but this is symptom not a cause. This is why I like to get fresh uncured live rock into my systems now and then increase my diversity. In a balanced system with a diversity of critters they are a bonus. Even if they are multiplying?! Will they eventually go away? this is not something that will cause a long term problem. You should be bringing in some corals and rocks from the ocean that have never been "cured" if this means drying on a rack in the sun. If cured means put into a tank so that animals that are going to die anyway will die before they get to your tank that is OK. For a small tank a rock of zoas or some other coral with a good size clean rock direct from the ocean will bring tons of species of micro animals. You need to have as many varieties of small animals in your tank that you can get and then a single species or two will not dominate your tank. 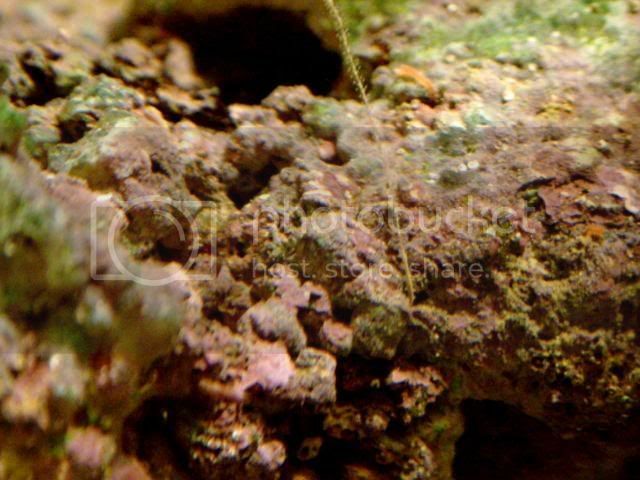 Most tanks with lots of rock and sand have various hydroids. The internet gets people paniced about all these little animals and scares them into doing harmful things like boiling rocks or placing them outside in the sun or adding some crazy chemical to your tank. You want live rocks in your tank. The big picture, you know the forest not the trees, or worse a knat on one of the trees and not even the trees. You are reading too many internet forums. FYI...Norton on my computer blockeet the photobucket site as a 'known malicious site'. Yes they will go away. The best defense is actually having a full compliment of reef critters. The more of the kind of stuff they are afraid of on the internet the less likely one is able to take over the tank and become a nuisance. Instead of cure live rock I buy real raw live rock not allowed to rot on some shelf before I buy it. I want hundreds of different types of micro fauna reproducing in my reef. Its more natural and more robust. Yes if you keep good water quality and bring in some rocks that have not been cured or dipped it will balance out. Don't read RC like its a bible.